Septic tank pumping is crucial to the health of a septic system, and property owners should make it a habit to have their system pumped every 3-5 years. However, septic tank pumping is generally not on the priority list of most property owners. But just because the septic system is out of sight, it does not mean it should be out of mind. Putting off a septic tank pumping for too long can cost you money down the line. The risks associated with clogged septic tank outweigh the cost of septic tank cleaning. Seeking a timely and professional septic tank cleaning service is the best way to avoid any future problems or unwanted costs. 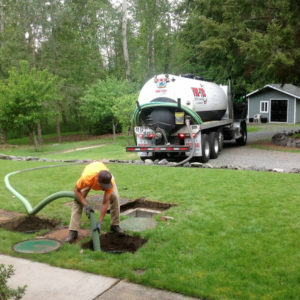 Count on us for your septic tank cleaning needs in Puyallup. We serve a wide range of clients, including municipal, commercial and residential. 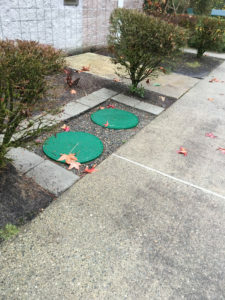 With quick response and competitive pricing, it is easy to see why so many of our customers continue to choose us for their septic tank cleaning needs in Puyallup. We are the septic pumping company of choice in Puyallup and the surrounding communities. We have the skills, tools, and experience to handle septic pumping jobs. Schedule regular septic pumping or call our 24-hour team for any septic system emergencies. When you have a company like ours come out and perform septic pumping, we pump out waste water and thoroughly clean the system so it works in an optimal manner. Customer satisfaction is our top priority. We believe in building honest and long-term relationships with our clients. 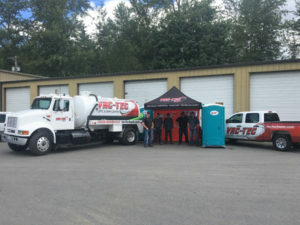 To find out more about our septic pumping services in Puyallup, feel free to call VAC-TEC LLC at Tacoma – (253) 777-4887 Seattle – (206) 339-0039 Olympia – (360) 338-6686 North Dakota – (701) 566-0045.